At 200 metres tall, the huge limestone hulk of Batu Punggul towers over the north Borneo rainforest, dwarfing even the tallest of trees. This lone stone monolith looks impenetrable from afar, but local people have been climbing up the rock for decades – and if you ask nicely, they might just guide you up there too. Needless to say, the views from the top are absolutely staggering. Flight Centre works with tour guides and in-destination specialists to link travellers with local people who can provide unforgettable adventures, like the Batu Punggul climb, caving trips, white-water rafting, and more. Chat to a Travel Expert for further information. 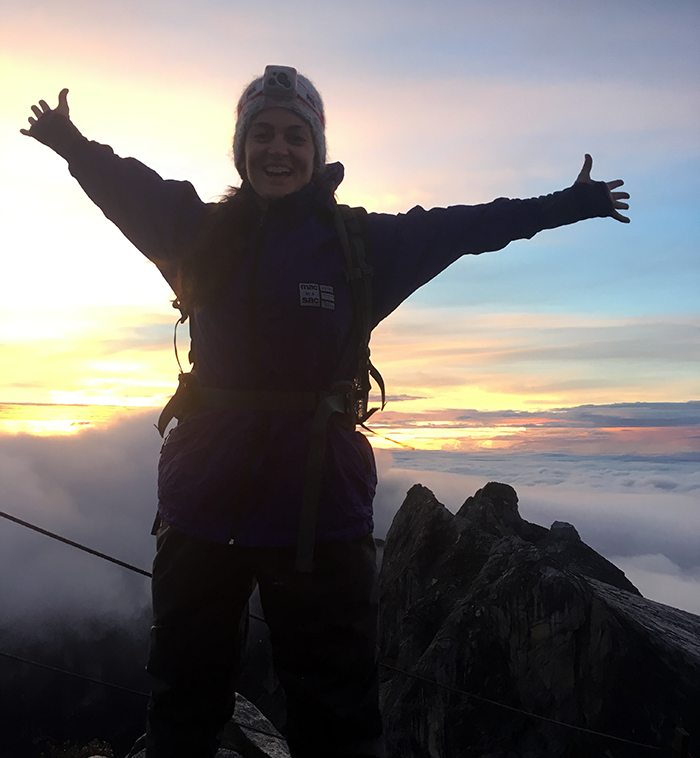 It takes determination, training, and countless energy bars, but the journey to Borneo’s highest peak is also rich in rewards. 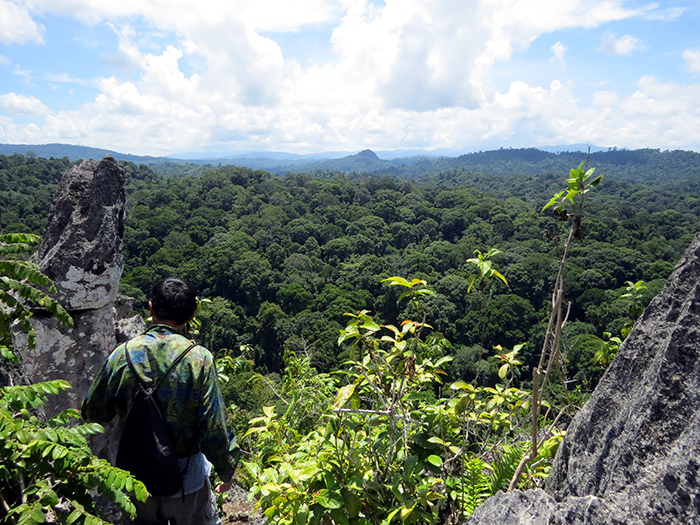 You’ll start the hike at around 10am, with an experienced local guide allocated to every climber or couple, and trek slowly through the lush jungle, ever upwards. Things get tougher above the treeline, so you’ll be relieved to bed down in your mountain hut at the end of a long day’s hiking. But don’t get too comfy: you’ll be up at 2am for the final leg, joining the snake of head torches bobbing in the dark. Just when you think you can’t climb any further, the first rays of sunshine light up the summit – pushing you to the top in time for the vermillion sunrise, far above the cotton wool clouds. Mornings don’t get much more spectacular than this. A vast tangle of tropical jungle might not be the first thing you’d expect to see in a luxurious resort such as Shangri-La Rasa Ria, but hoorah for the hotel’s dedicated nature guides who use this wilderness to educate (and entertain) guests about Borneo’s bounty of incredible wildlife. Borneo is home to the most unfortunate-looking monkeys you’ll ever encounter: the proboscis, whose noses droop from their face like… well, we’ll let you answer that. 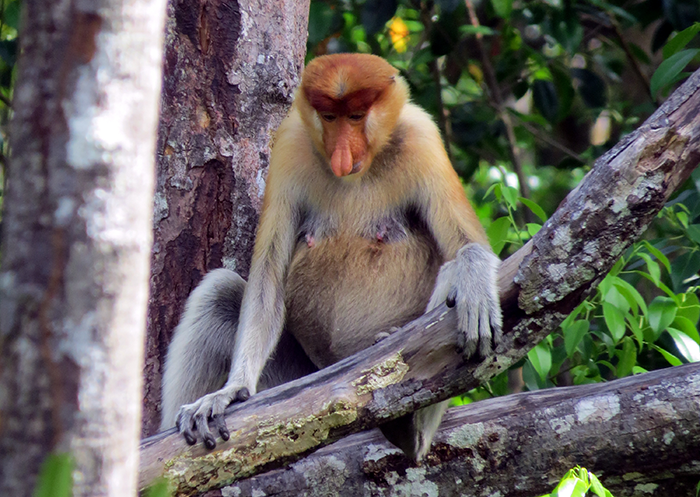 Endangered by logging and farming, these characterful creatures are notoriously difficult to see in the wild, so head to Labuk Bay Proboscis Monkey Sanctuary, where regular feedings attract the monkeys out from their protected habitat. It’s not the most authentic nature encounter, but is sadly the most reliable way of seeing these boisterous, bizarre-looking monkeys. You’ll be smitten! The Sepilok Orangutan Rehabilitation Centre is well and truly on the Borneo tourist trail, but don’t let that put you off: it’s popular for good reason. This is the easiest way to see orangutans in the rainforest, with an informative visitor centre and feedings twice a day – ideal if you’re short on time. 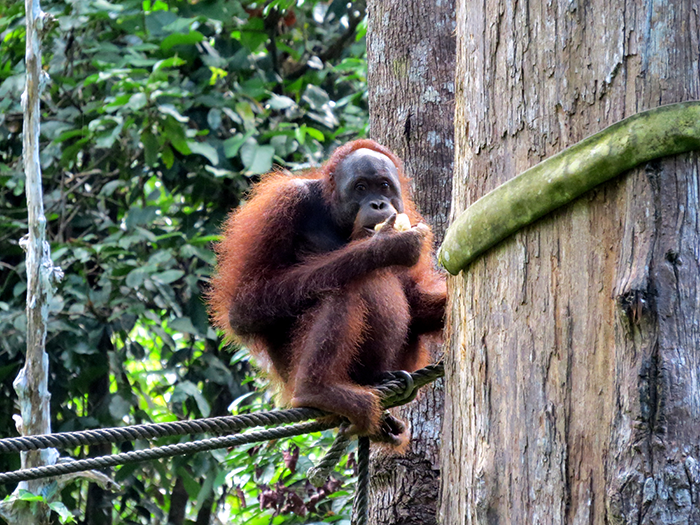 The apes swing through the forest canopy for their ‘breakfast’ (10am) and ‘afternoon tea’ (3pm), and munch away happily, completely indifferent to their human audience. Photo opportunities are plentiful, and baby orangutans often make an appearance, though note that viewings are never guaranteed. Across the road from the Orangutan Rehabilitation Centre in Sepilok, you’ll find the Bornean Sun Bear Conservation Centre – home to the smallest bears in the world. Sun bears have almost been hunted to extinction, but this well-run sanctuary offers the chance to see them in the semi-wild, as they hang out in the treetops of the reserve. The walkways and viewing points are equipped with binoculars, information boards, and guides to point out the bears if they’re proving elusive. 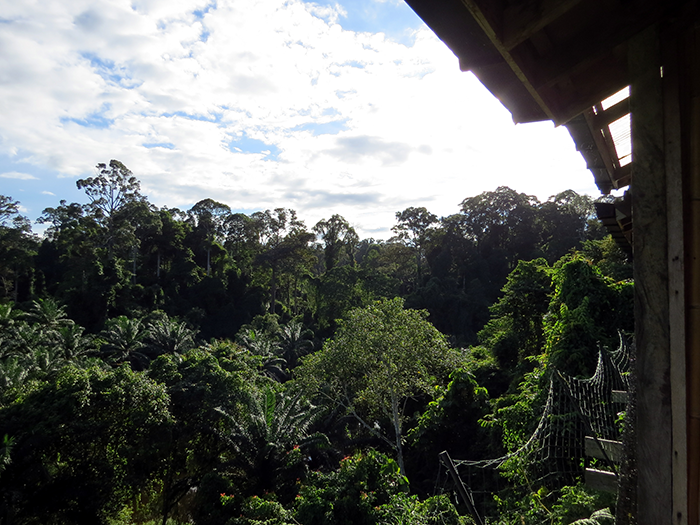 This is a wonderful place to spend the morning after the 10am orangutan feeding. Overlooking lush rainforest valleys, nestled in deep jungles, staying in a wooden cabin in the heart of Borneo is an utterly spectacular experience. Depending on where you choose, you can spy marauding monkeys from your own private terrace, feast on banana fritters and soak up rainforest views. Most such lodges use sustainable energy and low-impact methods to run too, making them an eco-friendly accommodation option. Chat to your Flight Centre Travel Expert to learn more. 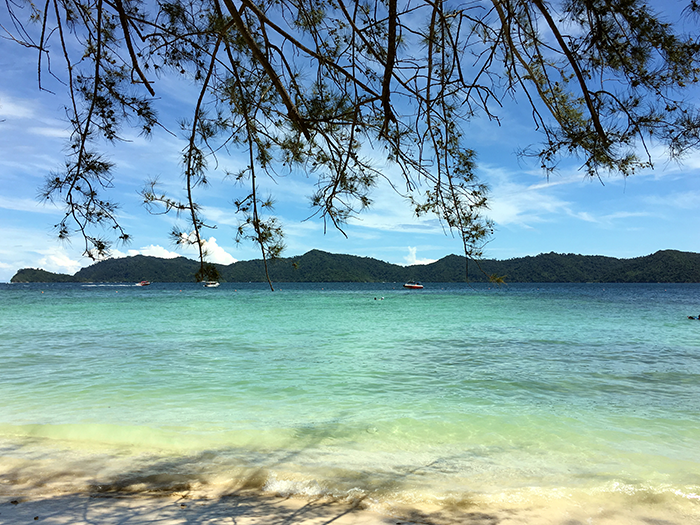 Most Sabah trips start in Kota Kinabalu, the region’s biggest city – where you’ll find great restaurants, shopping malls, and fabulous sunset-view bars (Shangri-La Tanjung Aru’s beachfront bar is the best). Stay for a day or two, then venture to the islands that lie just a couple of miles offshore: with their golden sand beaches and crystal-clear shallows, they’re the perfect antidote to busy KK. 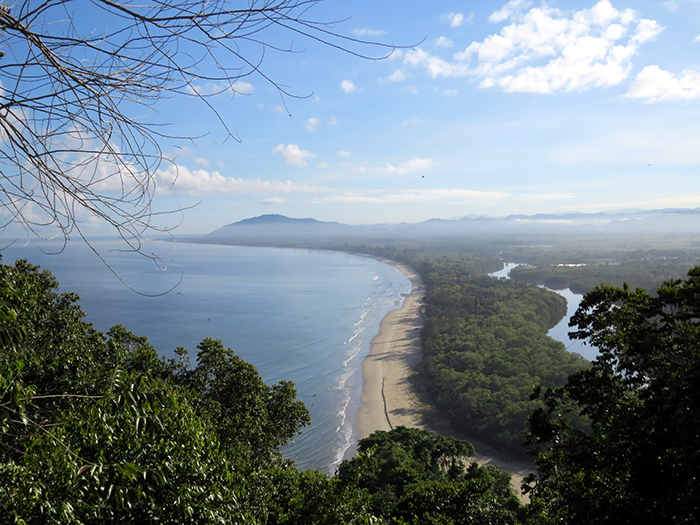 Book your adventure to Borneo with one of our Travel Experts.